SuccesStories April: The NFL Comes to Success Ladder! 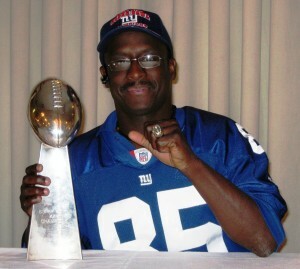 Super Bowl Winners Howard Cross and Stephen “The Touchdown Maker” Baker Hosting Student Event This Saturday April 18th! HILLSBOROUGH, NJ. – Success Ladder Academy is opening its doors to the public, especially students to meet Super Bowl Winners Howard Cross and Stephen “The Touchdown Maker” Baker on Saturday, April 18th. Both former NFL players will be available for autographs, photos, and to discuss the importance of success both on and off the field—in school. This is a free community event and space will be limited. Members of the public are encouraged to rsvp for autographs and photo opps. The Success Ladder Academy is hosting this public event as part of its Success Stories campaign. The campaign has been designed to provide the community with real-life examples of education excellence and the impact it has on everyone’s future. Taylor launched Success Ladder Academy as a unique educational model that combines instruction, coaching and character education. Academic Success Coaching™ is the foundation for Success Ladder Academy, providing a comprehensive approach to addressing every child’s Math, Literacy and Language needs while also equipping them with the tools they need to be “competent learners”. The Success Stories event with Howard Cross and Stephen “The Touchdown Maker” Baker starts at 1pm. The address for Success Ladder Academy is 856 US Route 206 in Hillsborough, NJ. Priority line reservations to meet both NFL stars are available to local youth, sporting, and educational groups upon request. Members of the media are encouraged to attend this event for exclusive interviews with both Cross and Baker, as well as with Jackie Taylor and Success Ladder leadership. Interview requests should be directed to Helene Vece, Media Manager at Office@HeleneVece.com or by calling Success Ladder directly at 908-829-3173. 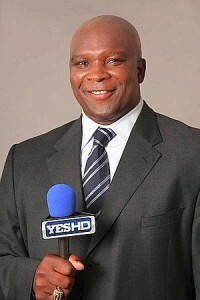 About Howard Cross: Former NFL player and Super Bowl winner, Howard Cross currently is a co-host of the YES Network’s This Week in Football, as well as serving as color commentator alongside John Sterling on the network’s Ivy League football telecasts. Cross is also a sideline reporter for the New York Giants Radio Network. He has spent a great deal of time working with youth to help ensure that they stay in school through events like Success Ladder Academy’s Success Stories campaign. About Stephen Baker: Former NFL player and Super Bowl winner Stephen “The Touchdown Maker” baker is dedicating his post-football career to helping young athletes understand the importance of education and future planning. About Success Ladder Academy: Success Ladder Academy utilizes a unique methodology that helps promote academic success and life-long learning habits. Each student with the Academy is assigned an Academic Success Coach who assesses content, develops and delivers an instructional program that meets the student’s needs, as well as tracking/communicating progress to parents and to school teachers.